MacTech Magazine for the iPad. 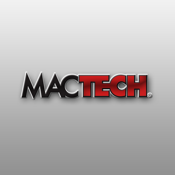 Established in 1984, MacTech Magazine is the only monthly magazine focused on Apple technology. Distributed in over 50 countries in print, MacTech is read by tens of thousands of technical Macintosh users ... from network administrators to programmers, from solution providers to Enterprise, and in general anyone that's interested in the Macintosh beyond the user level. Each month MacTech provides new content, featuring articles in all areas "tech" related to Apple products (which are all variants of OS X). Just a taste... System administrators, network administrators, IT Pros, and consultants all find MacTech invaluable with articles about solving problems, implementing solutions, or just road testing the latest technologies. Individual issues of MacTech Magazine for iPad may be purchased from within this app for $4.99. Alternatively, three month subscriptions may also be purchased for $10.99. Subscription automatically renews unless auto-renew is turned off at least 24-hours before the end of the current period. Account will be charged for renewal within 24-hours prior to the end of the current period, and identify the cost of the renewal. No cancellation of the current subscription is allowed during active subscription period.